In this fully illustrated and beautiful guide to our most functional utensil—the spoon—a master craftsman shares his life’s work: designing and carving exquisite, functional wooden spoons from branches and logs using time-honored woodworking skills and techniques. The simple, ordinary spoon is part of our everyday lives, from stirring our first cup of coffee to the long slurp of soup poured with a ladle to scraping the last bit of pudding from the bowl. Barn the Spoon is a master craftsman in the rarified art of spoon carving and a thoughtful proponent of the new wood culture renaissance. His love, care, and passion for wooden spoons is genuine and infectious. In Spoon he brings unparalleled color and character to his role as one of the world’s most respected spoon carvers and shares the extraordinary skill and gentle philosophy he applies to his life’s work. Barn shows how to use the axe and knife, from how they should feel in your hand to honing the perfect edge when carving your own spoons. 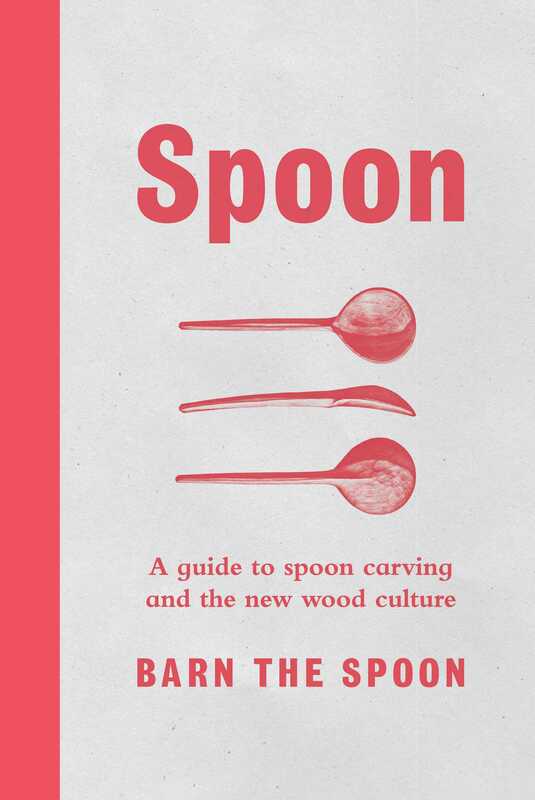 Featuring sixteen unique designs in the four main categories of spoon—eating, serving, cooking, and measuring—Barn takes you through the nuances of their making, how each design is informed by its function at the table or in the kitchen, and the key skills you will learn. Stunning photography on nearly every page both inspires and acts as a blueprint to help perfect your technique. A celebration of the ordinary transformed into the extraordinary, Barn’s spoons take you on a journey into the new wood culture, from understanding the relationship among wood, the raw material, and its majestic origins in our trees and woodland, to the workshop and the axe block, and into your own kitchen. This gorgeous, full-color book is the perfect gift for the home chef, woodcarver, crafter, collector, artist, escapist urbanite, or anyone harboring dreams of a self-sufficient lifestyle. Barn the Spoon has been a woodwork obsessive for over twenty years. Eight years ago he decided spoons were his thing and dedicated his life to them. He now runs London’s little spoon shop “Barn the Spoon” at 260 Hackney Road. Spoon is his first book.